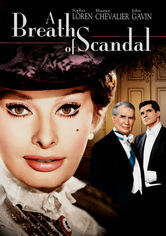 A Breath of Scandal (1960) on Netflix Ireland. Check worldwide Netflix availability! When an engaged princess secretly falls in love with an American millionaire, a jealous countess threatens to spill the beans about her paramour.